If there is one thing my kids get excited for each holiday, it is layered Jello. With just a little bit of time, you can make Jello that is unique to the holiday. My kids LOVE separating each layer and eating it. Dissolve your first box of Jello in 1 cup of boiling water. Separate the Jello in half, into two bowls. 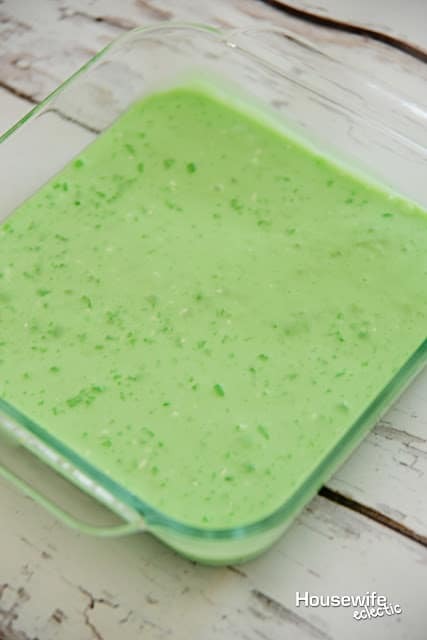 Add two tablespoons of cold water to one and then put that bowl of Jello that you added the water to, into a clear 8×8 pan. Place the pan flat in the fridge and allow to set for 30 minutes. Make sure the pan is as flat as possible when you put it in the fridge so your layers don’t end up crooked. Repeat until you have all 4 layers. 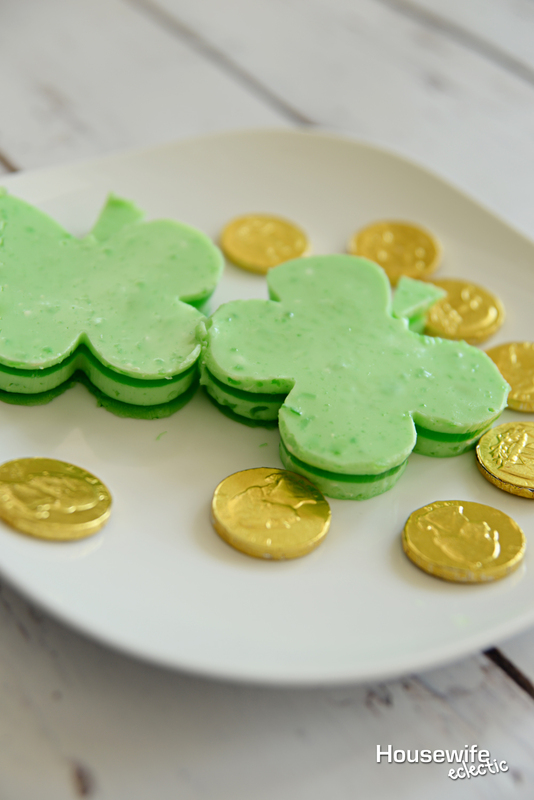 When you have all of your layers, take a shamrock cookie cutter and cut shamrocks out of the Jello. Serve with a chocolate coin and maybe some whipped cream! Wow you did a great job with these. St. Pat's is one of my favorite holidays and I will HAVE to try these this year! haha these are so sweet!! I don't think I have seen block colour jelly before! this colour would also be great for halloween too! This is too cute. I love how you've added the chocolate coins. It definitely adds spot of color. Oh my … these look too adorable not to try! I'll bet my kids will love to see this on St. Patty's Day! these look fantastic, and I love the gold coins you added around the plate. My kids would love this. I love this idea and it is something that I could easily make with my 4 yr old. I have never heard of putting sour cream in jello before, but I am definitely going to try it out. I just love this! I am going to make these how that I know how to & you could also alter these with different shapes for various holidays! Very cute, I bet my boys would love these. My kids are huge jello fans so this would be a hit with them that's for sure. These look like so much fun! So perfect for kids and the holiday. This looks so fun! I bet my little man would love it! These are so cute! I would love to make these with my son! I haven't had jello in like a million years! What a fun treat for st patrick's day! What a fun idea for St. Patrick's Day! I would've never thought about doing this. We have a green potluck in my classroom for St. Patty's day and green jello always seems to sow up. I will be sharing this version with my students. Maybe one of them will bring it. 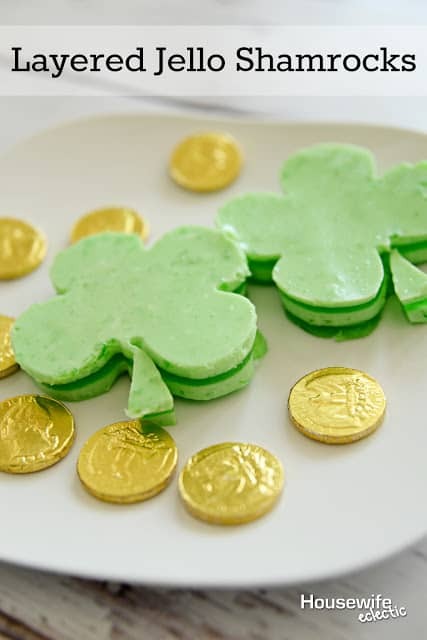 What a great treat idea for St. Patty's day! I know my kids would love them. These are great for the up holiday. Cute treat for kids. Thanks for linking up to Merry Monday! Pinned & Sharing on FB! Have a great week! This is so cute! 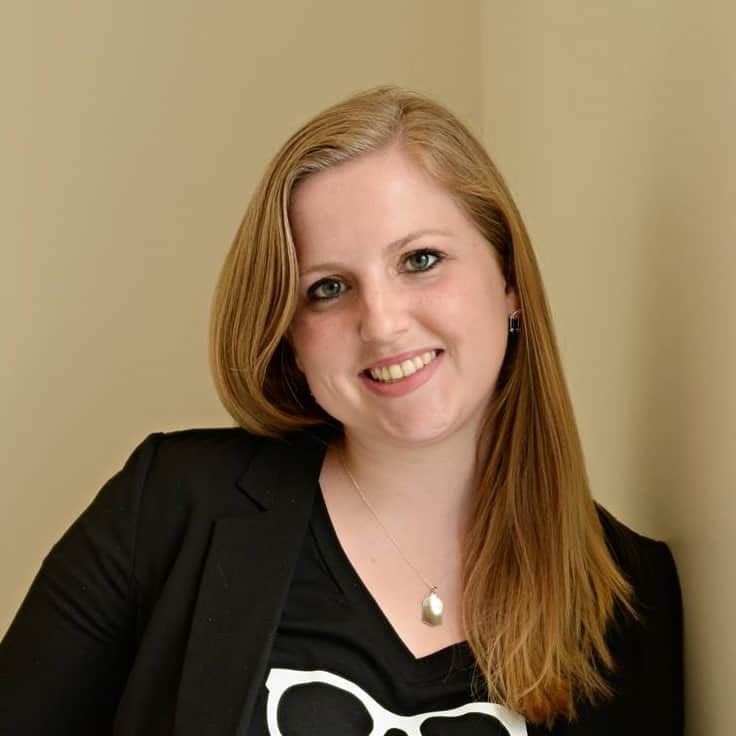 Thanks for sharing at Turn It Up Tuesday!